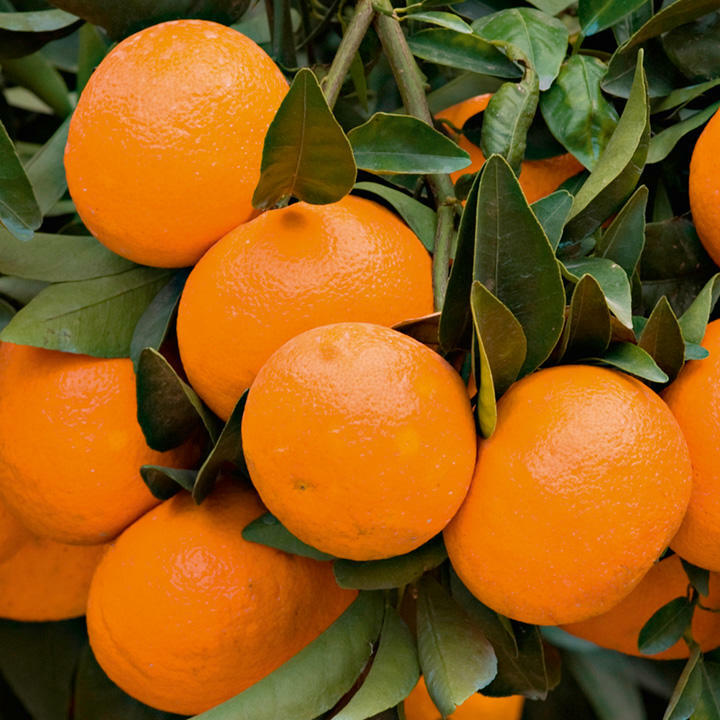 The Mandarin orange is a small citrus tree with orange coloured fruit. Sweet flavoured and easy to peel they are popular with children of all ages! Supplied as a large specimen in a 5 litre pot, will begin producing fruit within 18 months. Plants despatched from 1m-1.5m tall. Enjoy the scent and flavour of your very own Mediterranean-style citrus grove! Plants have glossy, dark green foliage, little white scented flowers and bear fruit from late spring to late summer. For growing and planting advice read our leaflet on citrus fruit. ON RECEIPT - Remove the plant from the packaging immediately. Check the compost is moist and water if necessary. CARE OF THE PLANTS - These plants have already been grown on to fill the pot provided. The plant can now be enjoyed in it’s present container or planted into a larger container to suit the growing position chosen. Citrus trees grow best in a sunny greenhouse, conservatory or windowsill with a minimum temperature of 4ºC (38ºF). They will also thrive outside in a sunny sheltered spot during hot summer weather. In a dry atmosphere leaf drop can occur, therefore plants should be stood on a saucer containing gravel and water which is away from radiators. Water thoroughly each time the surface of the compost becomes dry. In the summer months watering may be daily during hot weather and fortnightly uring the cool winter months, just enough to keep the roots moist. Do not allow the compost to become soggy and waterlogged as this will kill the roots. Feeding the plants weekly during the spring and summer with a citrus fertiliser or seaweed-based fertiliser will promote fruit growth. Citrus do not thrive with high salt levels in the compost so taking the plant outside twice a year and drenching with lots of clean water will prevent any build up of excess fertiliser salts. FRUITING & PRUNING - Citrus are very rewarding plants to look after, providing endless interest as the small scented white flowers appear in spring, followed by small fruit as the flowers fade. With the correct conditions the fruit will grow steadily over the next six months until they ripen. The fruits can be picked off or left on the tree for ornamental purposes. To encourage a bushy plant and to maintain a good shape, plants can be trimmed just as the new growth starts to sprout in the spring. These varieties are hardy in many parts of the UK (to -5°C), so although they make a beautiful specimen plant in a conservatory, they can also be grown in a well drained pot in a sheltered spot outdoors!